Atom Hat is rated 4.4 out of 5 by 8. Rated 5 out of 5 by DanielAlex from Fave Hat Ever Love this hat - incredibly high quality like all of Icebreaker stuff. Super comfy and rugged, we both have the same hat and get compliments everywhere we go. After a year of wear, it shows no wear, and very little, if any, stretch. I wear this in winter and for shoulder seaseon backpacking. Best hat I've ever owned. Rated 4 out of 5 by PNWer from Warm and cozy I have a pretty bog head, and this toque fits nice and snug (might be a bit more comfortable for people with regular sized heads), but I don't mind. It fits nicely under my helmet, and is far warmer than any synthetic toque I've worn. I was hesitant because of the price, but I don't think I'll be going back to cheap toques -- you get what you pay for, and this hat is superb. Rated 2 out of 5 by CamC from To small I love the material and look of the hat. However, I find it too small. 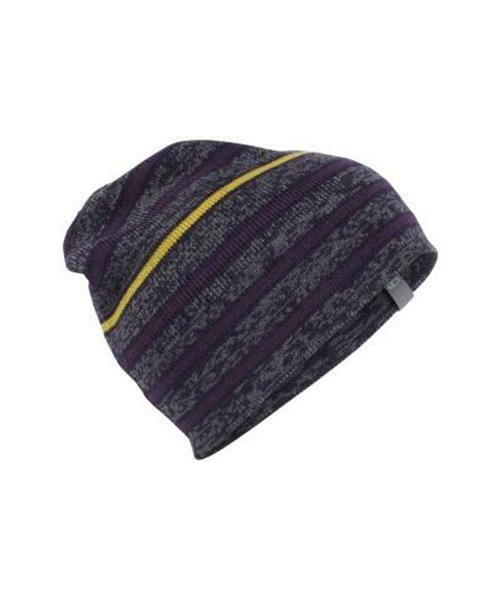 Rated 5 out of 5 by Roon from Lightweight and supersoft This is a great hat, that is lightweight but warm and comfortable. It's soft texture is comfortable for day-long adventures. My only issue is that I wish the brim was a little looser. It's a minor detail though, and certainly wouldn't prevent me from recommending this product. Rated 5 out of 5 by FlyingVee1557 from Atom Hat Love this hat!!!!!! Never thought I would ever say that about a toque. Fits snug on my head and keeps the heat in. great pattern as well. Rated 5 out of 5 by Tiina79 from Nice and toasty This toque did a great job of keeping my head nice and toasty warm on my snow shoe adventures!!!! Rated 4 out of 5 by Dont have one from Awesome Hat Love this hat, extremely warm, just fits a little large.